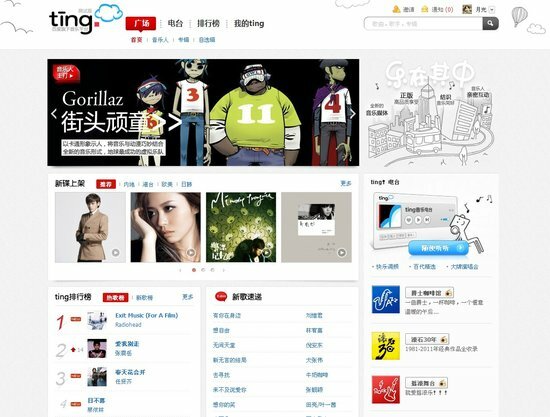 Baidu just launched its revamped music platform called Baidu Ting (or Baidu Listen) in private beta and screen shots have been leaked. Penn-Olson got a first look inside Baidu Ting and explains that among the features would be a combination of free and paid music streaming and downloading of legal music. It will take on a new approach for monetization with a quick and easy payment method as well as support for songwriters through royalties. The platform will be open to the music rights holders so that they can share their own music and reap the benefits. To bring down the cost, money only covers the songwriters in the downloads while record companies won’t receive any. It is reported by early beta testers that the current song selection of Baidu Ting is very limited, especially when it comes to foreign music. Also, there’s no support for music analysis and recommendation like Last.fm’s ‘scrobbling’. The new MP3 service will no longer link to pirated music and will abide by the regulations set by the Music Copyright Society of China for the payment of music royalties to benefit the music industry at large.